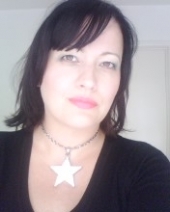 Call Rosa Mystica now for genuine psychic telephone readings here at UK Tarot Readings. Rosa Mystica is a phone psychic and tarot reader who offers psychic phone readings live on the phone or by paying on credit card. Get Notified for FREE By Email or Text Message when Rosa Mystica Psychic is Available! Any contact information entered above will be kept strictly private. Email addresses or Mobile numbers entered here will be used for the sole purposes of notifying you once the psychic telephone reader Rosa Mystica has become available, your contact information will be removed from the database once the notification has been sent. Call our live phone psychic now and get a genuine psychic reading with Rosa Mystica. Psychic readings and tarot readings with the UK's most popular psychic mediums and tarot readers at UK Tarot Readings allow you to get direct advice from live psychics and by paying with your credit card you can save on the cost of calling other phone psychics. Pick up the Phone now and call for Psychic Telephone Readings by Rosa Mystica.